After an unprecedented disaster causes Japan to surrender to the Sino-American alliance in 1944, the Japanese are citizens of a ruined nation. Returning to Tokyo three years after the war, Leo Shishigami find an unrecognizable city dominated by gang wars in this adaption of07thExpansion’s original visual novel. Wasting no time after forcing the Japanese to surrender to end World War II, by 1947 China and the United States have reconstructed Japan into a nearly unrecognizable country. The Japanese are a minority in their own land because of an influx of immigration, and discrimination against those who have Japanese names or speak Japanese is prevalent. Against this backdrop, a smooth-talking ex-soldier named Leo Shishigami returns to Japan hoping to find his lost friends, slowly realizing how much everything has changed. Leo soon falls in with Club Primavera after rescuing the club’s madam, Rose Haibara, from an attack by an American gang and resolves to help the club navigate the violent gang wars between the American and Chinese gangs vying for control of Tokyo. If you’re a fan of a swaggering period drama with a lot of action such as Baccano!, you’ll probably enjoy this series quite a bit. Think “gangster-movie” meets post-war Japan, and that’s Rose Guns Days for you. Rose Guns Days conveys an impressive style right off the bat, introducing readers to the swaggering Leo Shishigami with an enjoyable bang as he fights off thugs attacking Rose Haibara. While we never learn too much about Leo in this volume, he’s a perfect protagonist for this story as his breezy, womanizing demeanor fit the series’ tone perfectly. Leo subsequently resolves to stick around at Club Primavera for longer, joining the rest of its worker in defending the club after an incursion by an American gang led by Alfred Akagi. This leads to a number of confrontations as Leo, Rose and crew defend the club from attacks by Alfred, who is a great foil for the cast due to his sly and sinister nature. 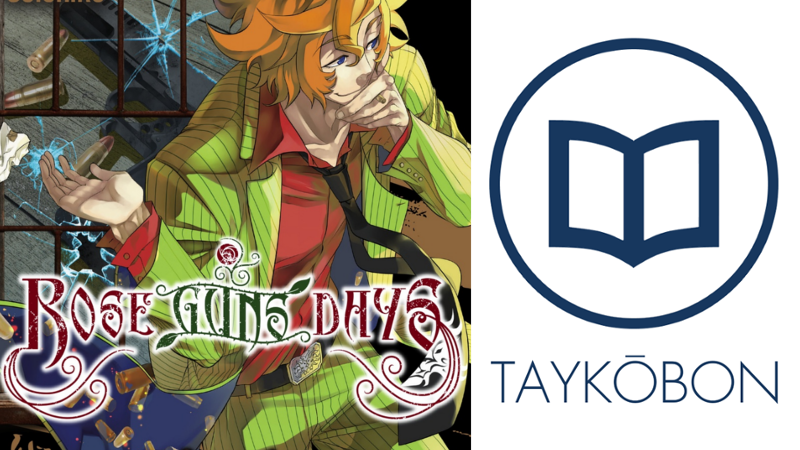 The story as a whole isn’t anything too unique but it benefits a lot from the cohesive style created by the combination of its enjoyable characters and interesting setting.Rose Guns Days does a great job with its setting, creating an interesting world that fits the style conveyed by the story. The Japan detailed in this series is completely unrecognizable, really selling tension felt by residents as the Americans and Chinese compete for reconstruction rights. I liked that this volume spent some time following Leo as he explored Tokyo, juxtaposing his memories of the city versus its modern state to really emphasize the dire situation the remaining Japanese citizens find themselves during this forced modernization. At the same time, the stylish fights fit this series well while fitting the “gangster-movie/prohibition” vibe given off by the setting as well as its characters. I’m looking to forward to how this series continue to explore this world as more questions are raised than answered. Soichiro’s artwork generally does a good job conveying the style this series has, telling the story in a clear manner and with well-drawn characters. I enjoyed the style that the artwork was able to convey, with fights generally flowing in an exciting manner with a lot of motion and distinction between the various fighting styles of the characters. The background aren’t anything to write home about and tend to fall on the simpler side, but they get the job done. However, a few panels during the action scenes suffer from some cluttering making it difficult to follow the flow of the action. This was disappointing as it prevented some of these stylish scenes from having the impact they might have otherwise had and hopefully will be improved on as the series goes on. In addition, some larger panels which fell on two pages suffer from some guttering due to some unfortunate placement, which was a little distracting and took away from the impact they would otherwise have had.As a smaller note, I really appreciated the way this volume told a satisfying self-contained story that drew me into the series while managing to wrap up its initial story arc. This made the volume feel much less disjointed than many other first volumes do, and I appreciated the way the authors managed to balance satisfying the reader while leaving to door open for the story to continue in subsequent volumes. Rose Guns Days: Season One Vol. 1 is an enjoyable start to the series, conveying a good combination of a well-realized setting, fitting characters and stylish action. Its version of post-war Japan is a compelling one, creating an interesting story and aesthetic as Club Primavera attempts to survive the on-going gang wars. The characters fit the story very well, with Leo being exactly the type of breezy and swaggering protagonist needed here and the rest of the cast fills out well with a number of interesting personalities. It’s too bad that the artwork is mostly a workmanlike effort that has some difficulty consistently capturing the free-flowing nature of the action scenes, but if you’re a fan of a series such as Baccano! you should definitely give this volume a look. What do our scores mean?Rose Guns Days: Season One Vol. 1 was published by Yen Press on September 22nd, 2015. Authored by Ryukishi07 and illustrated by Soichiro, the series is based off the original Rose Guns Days visual novel series. This series began in 2012, running Square Enix’s Gangan Joker magazine for four volumes until the end of the Season One series. Volume 2 will be published in English on December 15th, 2015.